It has been quite some time that the images of the HTC One Max has been leaked on the world wide web, when a new news came about HTC working on launching the sequel to its very successful Butterfly Phablet. 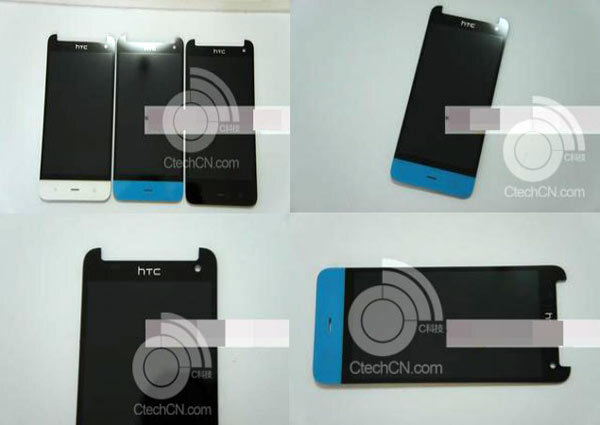 This new Phablet has been aptly titled as the HTC Butterfly 2.The rumor was spread by Ctechcn, which is a Chinese source and as per this source this Phablet should be launched very early in the next year, most likely in January 2014 itself. One can also have access to various images of the same Butterfly 2 Phablet as there are various websites that have put up the image of the device. 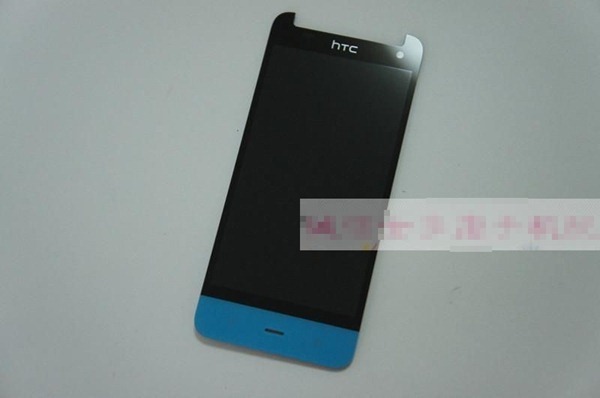 As per the images that are leaked to the media, the HTC Butterfly 2 can be expected in three different colours namely; white, blue and black. The leaked images also show that the front panel of the Phablet will have two buttons: one of them would be the “back” button and another will work as the “home” button. There is also a third button that is placed in between these two buttons, but then the exact function of this button cannot be understood by just looking at the images. The front of the phone also has the logo of HTC as the branding on the top, right below the ear piece, following the tradition that one can notice in other HTC devices. The primary and most noticeable feature of this new model will be its display. This has been evident by news reports of leaked display samples of the HTC Butterfly 2 which seems to be in the range of displays of HTC One and the One Max Phablet. Though the usual specs are expected to be there powered by Snapdragon 800. However, one new feature will be that the whole set will be water-proof, just like Sony’s handsets in the Xperia category. Among the other additional features supposedly to be present that is aimed at targeting the consumers of such handsets are, Ultra Pixel camera and Boom sound frontal speakers. Rumors are strife that the product will be announced soon and then launched in the first quarter of 2014 i.e. during the Chinese New Year which begins on 31 January 2014. The announcement is supposedly to happen during December 2013.However till then exact details regarding the exact specification yet to be launched HTC Butterfly 2 in terms of the RAM, OS, Camera and battery life etc. are very scarce and sources are unable to disclose anything. The HTC Butterfly 2 is expected to sport a similar look as its predecessors with inspiration from the Windows Phone handsets. HTC has retained its trademark large displays and bright colors which has been evident from the leaked pictures of the displays, where the control part of the display has three varieties in white, blue and black. Even the positioning of the speaker in between the home and the back options are very similar to the Windows Phone 8XT. Though the back panel has not been leaked and since the front follows the predecessor, therefore it is expected that not much will be different there. HTC rarely surprises the customers in terms of uniqueness in design and build. However, consumers can expect the handset to come with IPX7 certification. Neither the Butterfly or Butterfly S was widely available or popular in the US, but the Droid DNA, which is closely related to the Butterfly family, was well received from Verizon. We wouldn’t be seeing the Droid DNA 2 based on Butterfly 2, as at the moment, the Motorola now owns exclusive rights to the name “Droid”. One of the main cons of the HTC Butterfly is its OS. Since the Android 4.2 Jelly Bean was launched before the butterfly, therefore consumer expectations were that the handset would come enabled with Android 4.2 Jelly Bean OS, however that was not what it came out to be and instead it had Android 4.1. Although software up gradation is available and many buyers have upgraded since its launch, some have also upgraded to the latest Android Kit Kat OS also. However, in terms of satisfying customer expectations HTC Butterfly failed in this particular aspect. Though the Butterfly was launched with the promise of 4G, an exciting new method of connectivity, it did not have so. Neither was the NFC connectivity feature present. For the Indian market, where 4G is not widely available across all zones, many may not consider its absence very seriously. However, since it is priced so expensively, having 4G connectivity would have been welcomed.. The battery is non-replaceable which makes maintenance of the phone cumbersome. Because a consumer cannot use back-up battery and has to always carry charging options, the phone is as good as junk if the phone battery goes bad. Even the power/screen-lock key is placed in an awkward position in the upper right part of the phone. Also there is just a single slot for both the SIM card and the micro SD card, which has baffled a lot of users and has created an inconvenience for consumers very much. Thus consumers and HTC faithful and critics will now have to wait for the expected launch of the HTC Butterfly 2 in January 2014 with better specs and a better phone. This will hopefullyerase out all the disadvantages of the predecessors and will really prove to be the next generation phone it is hyped to be. However consumers should also note that HTC One Max large screen phone measured around 6 inch phablet is likely to be launched within this year.All in all, HTC looks to be jumping on the bandwagon called Phablet and is definitely looking at upping the ante for other players in the market that are planning to launch a Phablet.